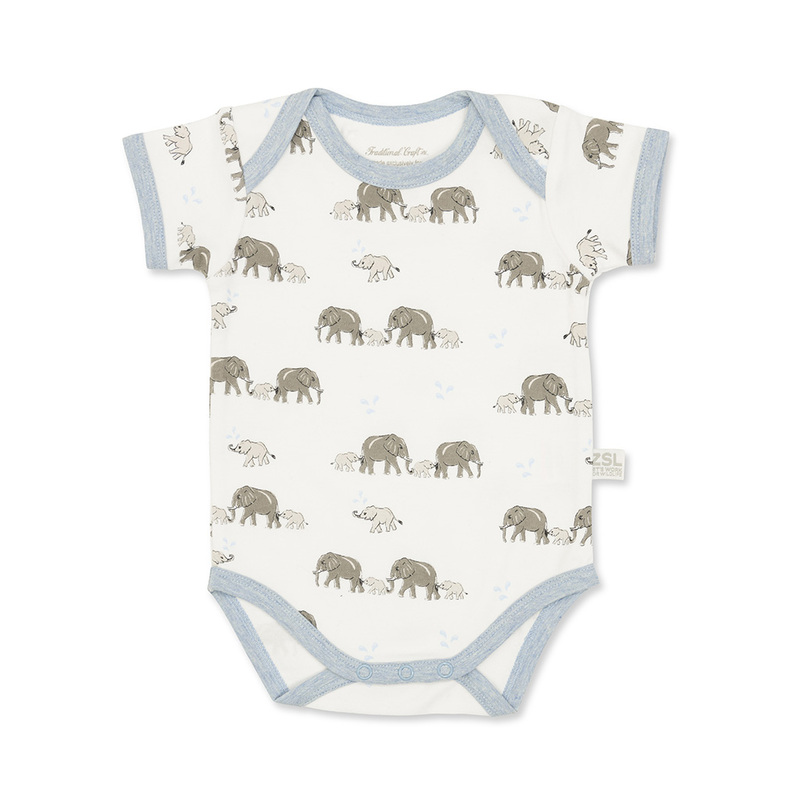 This cute elephant baby bodysuit is a lovely gift for babies. Made from 100% cotton, featuring adorable illustrations of elephant and baby all across the bodysuit with baby blue piping around the edges. The perfect gift for babies with matching elephant bib.